Voices of Wisdom brings you together with Indigenous elders that embody ancestral wisdom. At this event, held around a Sacred Fire, elders speak and offer perspectives and experiences that will help you feel more aware of the sacred world around you. The way toward a long-term sustainable future is to individually and collectively regain empathy with each other and the natural world. Through Indigenous ancestral wisdom, Voices of Wisdom opens your heart to feel renewed connections within yourself, amongst participants and with the living world. 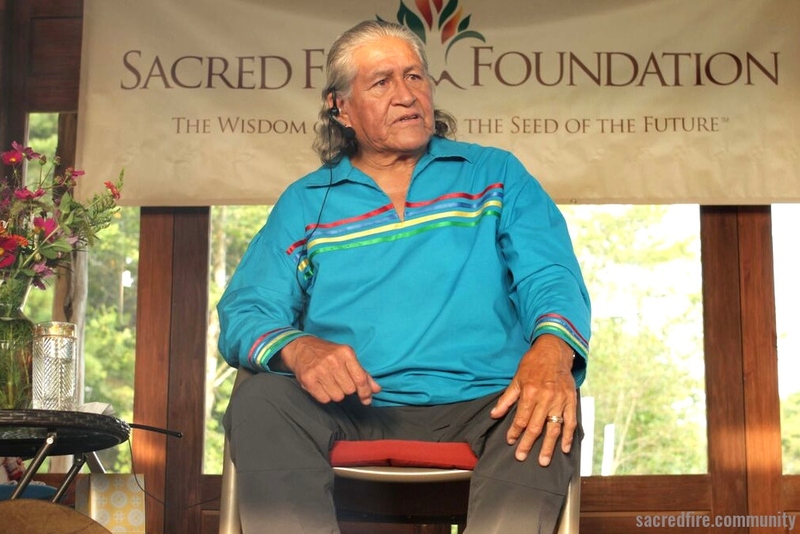 At the Sacred Fire Community in Asheville, N.C., Voices of Wisdom welcomes elders Pahan Pte San Win (Lakota, Cree & Metis) and Wanbdi Wakita (Dakota) for Taku Wakan, Something Sacred. One day Wanbdi had a powerful vision that changed his life. Since then he has had the job of making prayers for people. Pahan Pte San Win tells us, “The first time I had a vision I was 8 years old.” Learn what it means to have a vision and where that sacred experience can take you. Our program with the elders will take place on Saturday. Participants will then return for a fire circle on Sunday evening that will help them assimilate the teachings and experiences with the elders from the day before. This fire will be hosted and facilitated by Patrick Hanaway and Lisa Lichtig, initiated firekeepers for Sacred Fire Asheville. There is a limited amount of tickets at a reduced rate of $35 for those in need. Free admission for youth under 14. Onsite camping ($15/person per night) and limited lodging ($45/person per night with 3 people/room) is available for those coming from out of town. Please contact lodging coordinator Jim Lindsey: (828) 333 – 2222, jiml@nullcharter.net before you register to check availability and make your reservation or for more information. Once you register you will receive further details and directions by email. This is a family friendly event—people of all ages and stages of life welcome. Onsite camping is available. If you camp, be sure to bring your own food and gear—water, showers, and an outhouse are available, but we have no kitchen facilities. 10:00-11:00 am: Onsite registration. Please arrive with time to get settled and relax. 11:30 am – 1:30 pm: first speaker. 1:30 pm: A delicious potluck lunch! 3:00 pm -5:00 pm: Welcome and introduction of the second speaker. 5:00 pm: End of Saturday gathering. 6:00 pm: Arrive and make offerings to the Fire (no potluck this evening). Sharing circle on experiencing the Elders’ relationship with ancestral wisdom, and how it impacts our day-to-day lives. 9:00 pm: End of Sunday gathering. Each Voices of Wisdom event is hosted by a hamlet of the Sacred Fire Community, whose firekeeper holds the space for the gathering. Collaboratively, we create openings to reconnect with the land and the spirits of the place where we live. This Voices of Wisdom gathering will be held at the Sacred Fire Council house and hearth near Asheville, NC. The hearth sits on 35 acres of diverse forest and pasture surrounded by Ivy Creek. This area was once a dwelling place to the Muscogee Creek and Tsalagi Peoples. Currently, it is home to firekeepers Patrick Hanaway and Lisa Lichtig and a venue for wisdom teachings needed at this time. Pahan Pte San Win is a spiritual caregiver to incarcerated youth at the Manitoba Youth Centre. With a degree in social work from the University of Calgary, Pahan has provided counseling support to residential school survivors, women who have experienced abuse and incarcerated men. 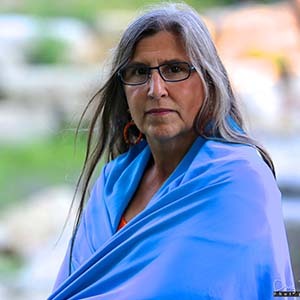 Her storytelling pursuits include awards for best writing by an Indigenous Student, Grant MacEwan College; host and producer of the Good Medicine Radio Show for CKLB Radio in Yellowknife, NT; and a blog titled, I Married a Holy Man. Pahan’s vision to have a Sundance of Women that honours our stolen sisters was realized in 2017 and continues until 2020. 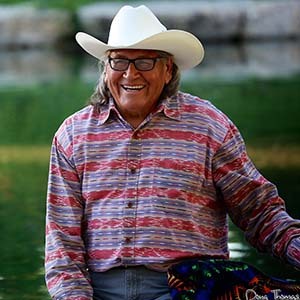 Wanbdi Wakita was born in 1940, in the community of Sioux Valley Dakota Nation. His name translates into English as Looking Eagle. As a boy, with the support of his mother’s love and his grandfather’s wisdom, he was encouraged to acknowledge how Creator was speaking to him through sacred phenomena. His connection to his family members, who would later become his ancestors, was integral to his journey in becoming a Wicasa Wakan or Holy Man. Today, Wanbdi embodies and transmits the Dakota ways of living. As a Wicasa Wakan he has devoted three decades to working with men in prison, teaching the Dakota language, overseeing the Sundance ceremony as Sundance Chief, sharing songs and stories. Wanbdi is gentle and soft spoken, a man of integrity and profound wisdom. He possesses a rare breadth of traditional and culture knowledge, which he combines with a message of healing and unity between all nations.